Czechoslovakia, 1942. Jan's father has been summarily executed by the Nazis. His mother and his older sister Maria have disappeared, and his younger sister Lena has been removed to a remote farm in the German countryside. With Europe is in the throes of war, the ten-year-old boy embarks on a personal journey to reunite the family he has been violently torn from. The experiences he goes through and the horror he faces during this desperate quest will change his life for ever. 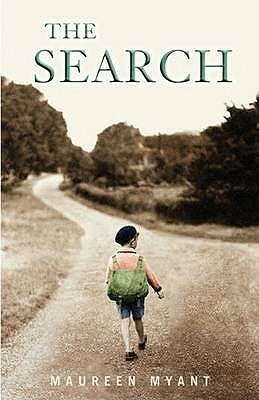 While examining the devastating effects of war on ordinary families, "The Search" provides an exploration of fear and loss, and of the bond between parents and children. Riveting, moving, at times disturbing, Maureen Myant's debut novel will haunt its readers for a long time after they have put it down. Gracias Nieves y Eliadora por la recomendación. No tenía ni idea de que la reseña estaba en español. Gracias Chapu.